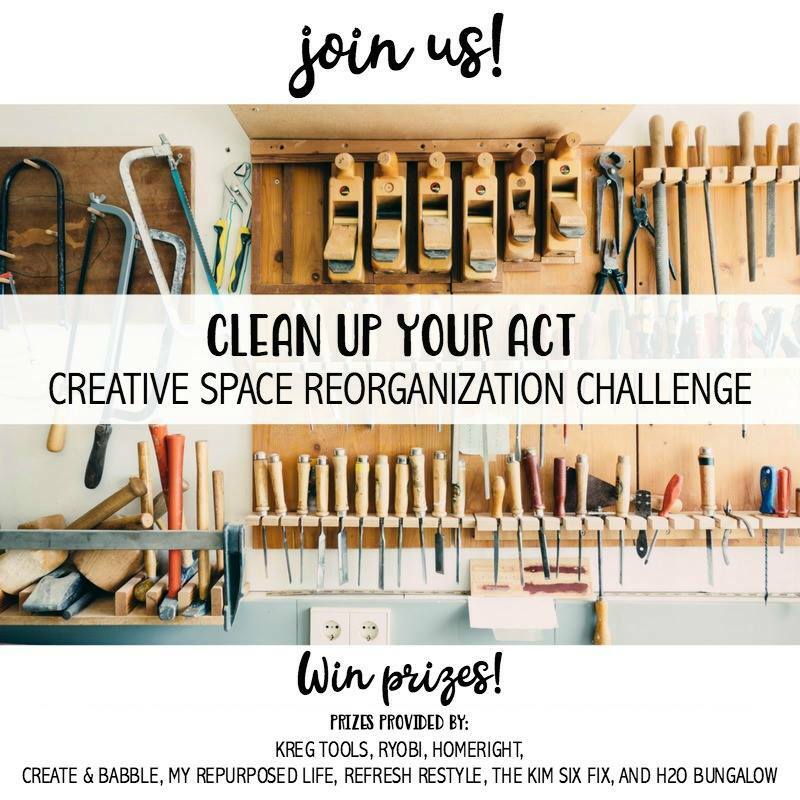 It is week 2 of the Clean Up Your Act Organization Challenge! Earlier this month I joined four other bloggers (Gail from My Repurposed Life, Jeanie from Create & Babble, Debbie from Refresh Restyle and Wendi from H2O Bungalow) and we are challenging ourselves (and YOU) to get our creative spaces into tip-top shape for the new year. After about 20 hours of work, you can actually see the floor!! It may not look like a lot of progress, but I weeded through THOUSANDS of pounds of clutter. I also got a large space in front of my workshop cleared out. I sorted hundreds of cans of paint and went through a lot of my tools and supplies. Again, it doesn’t look like a lot, but just being able to stand in front of workbench without stepping over stuff was amazing. I also sucked up TONS of sawdust which was covering everything. This is my large untacked pile. 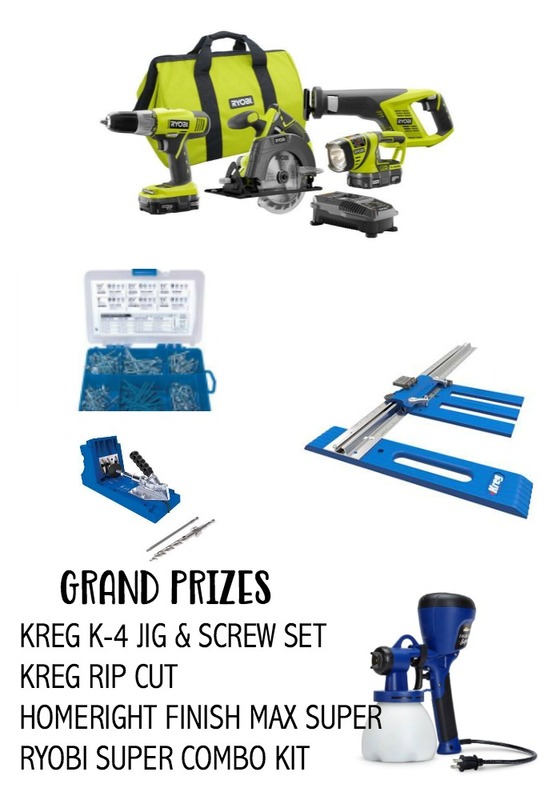 It includes my scroll saw, router table, all the kids bikes plus the trash cans, and a bunch of furniture I had plans to makeover. I am FAR from finished. It has been so fun to see everyone else's workshops as well. AND THERE IS STILL TIME! If you haven't yet joined the challenge you are still welcome to! Share your "Before" photos below and you have until the end of the month to get it in order! Come back NEXT WEDNESDAY for my latest update. You can also sign up for "DIY & Home Improvement" emails in the form below and I'll email it right to you!